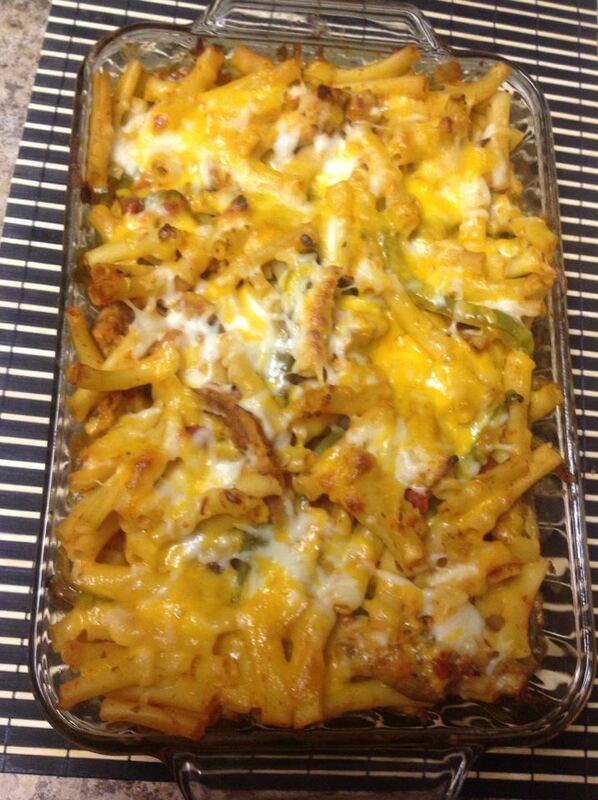 This recipe was created at the request of one of my viewers. It gave me the perfect excuse to have a glass... or two, of Pinot Grigio ;) Baked Ziti can be done start to finish in 25 minutes however, I wanted to do something a little different. 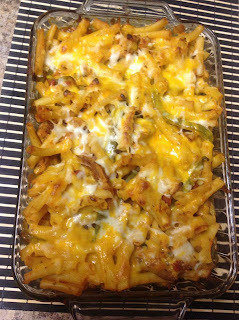 This dish can be done for under $15 and feeds 6 people. You can eat well on a budget! Rub olive oil on the top side of each thigh and roast in oven at 350F for 45 minutes. In another sauce pan, saute bell peppers. Once peppers start to become limp pour in diced tomatoes and chunks of chicken. Continue to saute for 5 more minutes, constantly stirring with a wooden spoon. 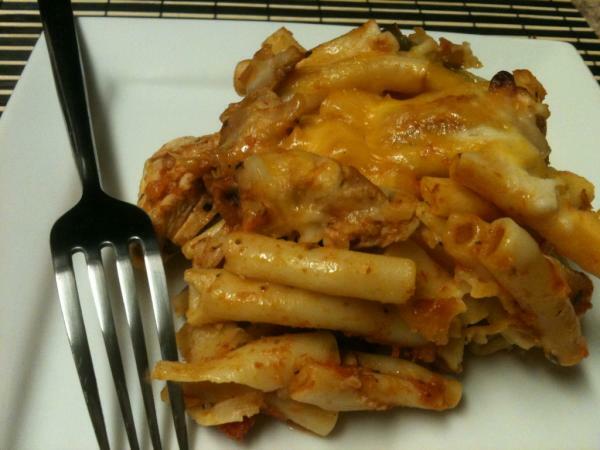 Pour pasta sauce and chicken mixture over ziti and mix well. Transfer to a baking dish and top with mozzarella and sharp cheddar.